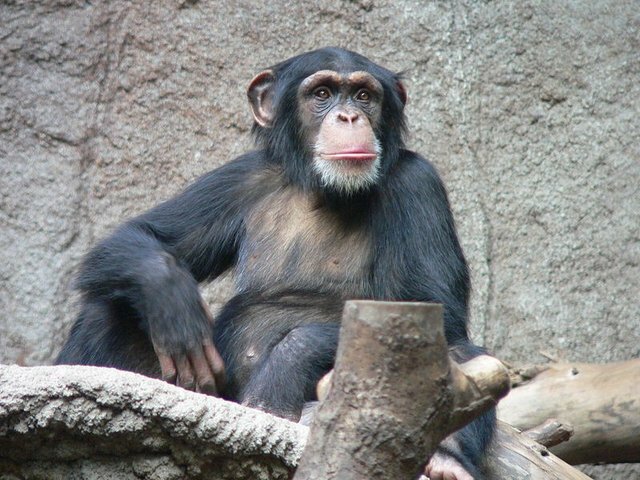 For over a quarter century, chimpanzees Octavious and Cassie had shared an enclosure at the Rockhampton Zoo in Australia between themselves -- until just last year, when two females, Holly and Samantha, were introduced to break their decades of bachelorhood. In that time, the four had become inseparable. Sadly, on Sunday, Octavious was found to have passed away of a heart condition at age 38 -- a loss that the other chimps seemed to have difficulty accepting. What keepers discovered offers a touching reminder that the emotional experience of our primate cousins may be closer to our own than we yet understand. "The three of them were around him, just shaking him and trying to sit him up and get him moving," says Strachan. "At one stage it looked like Holly was doing CPR. She was actually pressing his chest. I don't know if she's ever seen that. It was pretty amazing. Everybody who was there witnessing it was quite blown away. They didn't want to leave him, and it's always a good idea for chimps to spend a bit of time with the one that is deceased so they can kind of come to terms with it." Keepers say that the chimps eventually moved Octavious's body to another part of the enclosure and covered it with a blanket. The extent to which chimpanzee emotion mirrors our own may never be fully known -- but they are not alone in their mourning. "Overall he was a great character and he's going to be very sadly missed," says Strachan. Life expectancy among chimpanzees in captivity is 31.7 years for males, and 38.7 for females, according to a survey from the Lincoln Park Zoo -- though some individuals surviving into their 60s and 70s is not unheard of. Just as with humans, heart disease is the leading cause of death among captive chimps.